Daivion Gully, 18, Melvin Jones, 20, Artavious Johnson, 28, and Deanjelo Wells, 19, are all charged with capital murder. 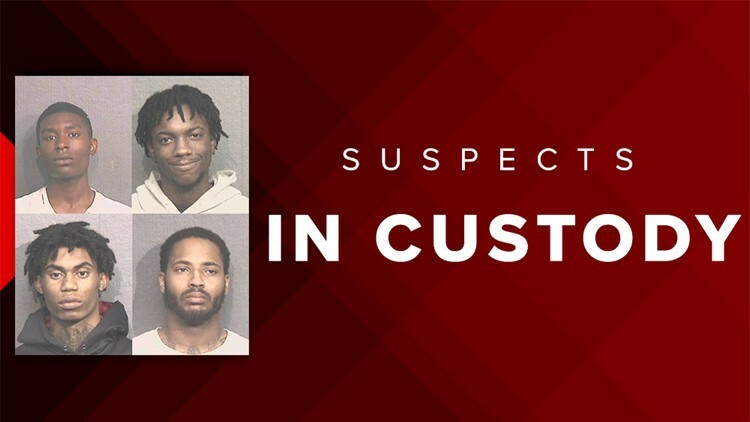 HOUSTON - Four suspects have been arrested and charged in the fatal shooting of a store clerk Saturday in west Houston. The victim, identified as 66-year-old Hafeez Qureshi, was shot and killed around 8:30 p.m. Saturday while working at Sunny’s Foodmart at 9075 South Dairy Ashford. Witnesses said three armed suspects entered the store and demanded cash before shooting Qureshi multiple times and running from the scene. Police say Gully, Jones, Johnson and Wells were arrested without incident.